Local commander says female bomber targeted city's market at 11:00 a.m.
Kano, Nigeria (CNN) -- A suicide bomber killed at least six people in the northeastern Nigerian city of Maiduguri on Monday, while Boko Haram militants attacked the town of Damaturu to the west but were driven out after a 10-hour battle. The sector commander for Maiduguri's civilian task force told CNN a female bomber had carried out the attack on the city's market at 11:00 a.m.
At least six people had died and the toll was expected to rise, Cmdr. ‎Abba Aji Kalli said. More than 20 people had been taken to hospitals, many in critical condition, he said. Police gave a slightly different account, saying two female bombers had targeted the main gate of the market, killing five. 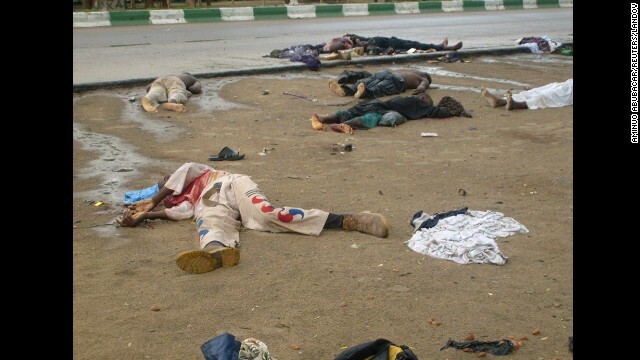 Bodies lie in the streets in Maiduguri, Nigeria, after religious clashes on July 31, 2009. Boko Haram exploded onto the national scene in 2009 when 700 people were killed in widespread clashes across the north between the group and the Nigerian military. 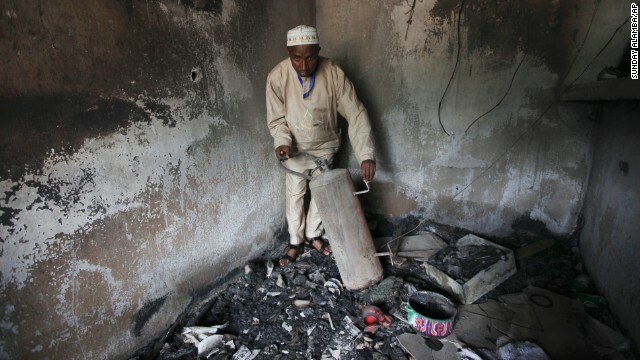 An official displays burned equipment inside a prison in Bauchi, Nigeria, on September 9, 2010, after the prison was attacked by suspected members of Boko Haram two days earlier. About 720 inmates escaped during the prison break, and police suspect the prison was attacked because it was holding 80 members of the sect. Nigerian President Goodluck Jonathan, second from left, stands on the back of a vehicle after being sworn-in as President during a ceremony in the capital of Abuja on May 29, 2011. 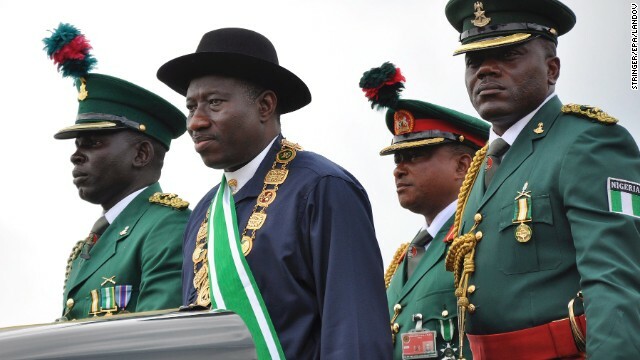 In December 2011, Jonathan declared a state of emergency in parts of the country afflicted by violence from Boko Haram. 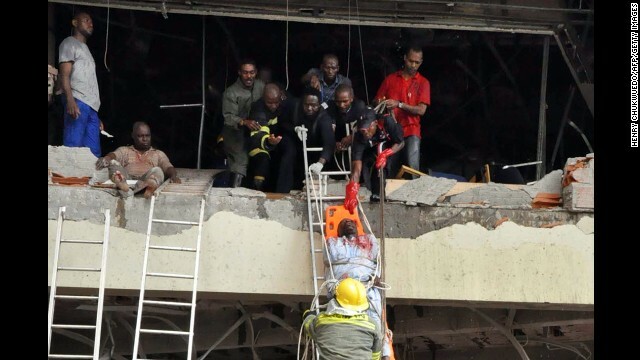 Rescue workers help a wounded person from a U.N. building in Abuja, Nigeria, on August 26, 2011. The building was rocked by a bomb that killed at least 23 people, leaving others trapped and causing heavy damage. 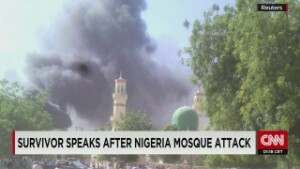 Boko Haram had claimed responsibility for the attack in which a Honda packed with explosives rammed into the U.N. building, shattering windows and setting the place afire. 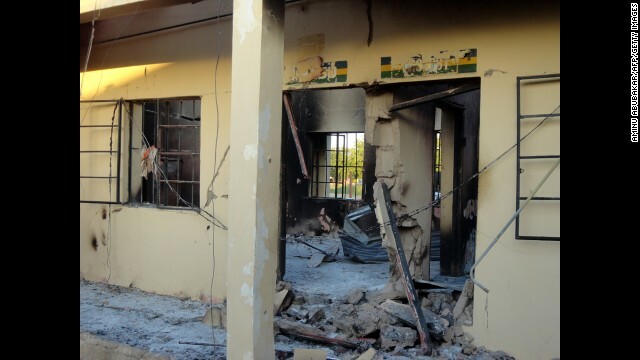 A photo taken on November 6, 2011, shows state police headquarters burned by a series of attacks that targeted police stations, mosques and churches in Damaturu, Nigeria, on November 4, 2011. Attackers left scores injured -- probably more than 100 -- in a three-hour rampage, and 63 people died. 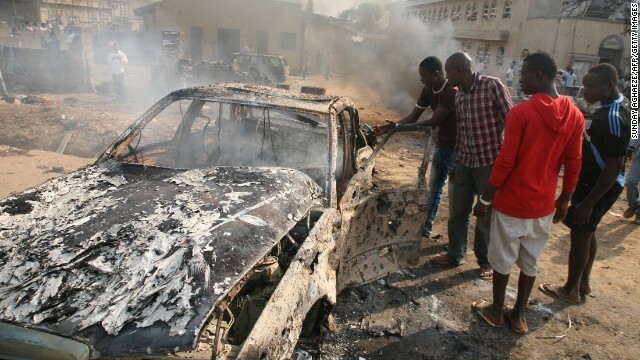 Men look at the wreckage of a car after a bomb blast at St. Theresa Catholic Church outside Abuja on December 25, 2011. A string of bombs struck churches in five Nigerian cities, leaving dozens dead and wounded on the Christmas holiday, authorities and witnesses said. Boko Haram's targets included police outposts and churches as well as places associated with "Western influence." A paramedic helps a young man as he leaves a hospital in the northern Nigerian city of Kano on January 21, 2012. A spate of bombings and shootings left more than 200 people dead in Nigeria's second-largest city. Three days later, a joint military task force in Nigeria arrested 158 suspected members of Boko Haram. 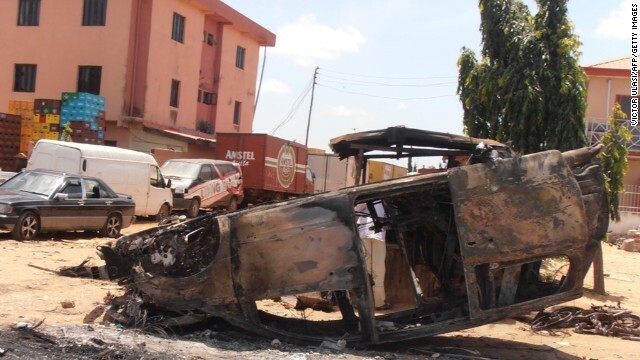 A photo taken on June 18, 2012, shows a car vandalized after three church bombings and retaliatory attacks in northern Nigeria killed at least 50 people and injured more than 130 others, the Nigerian Red Cross Society said. 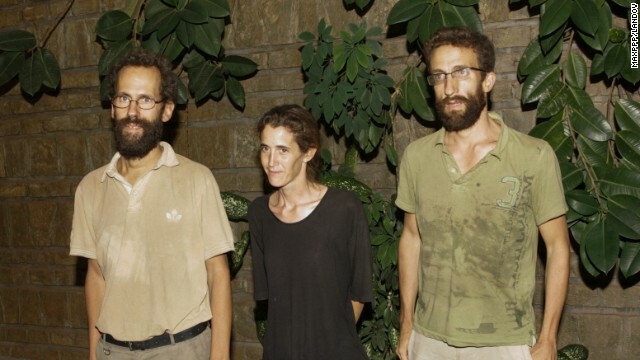 A French family kidnapped February 19, 2013, in northern Cameroon is released after two months in captivity in Nigeria. The family of four children, their parents and an uncle were kidnapped in Waza National Park in northern Cameroon, situated near the border with Nigeria. One of the captive men read a statement demanding that Nigeria and Cameroon free jailed members of Boko Haram. A soldier stands in front of a damaged wall and the body of a prison officer killed during an attack on a prison in the northeastern Nigerian town of Bama on May 7, 2013. Two soldiers were killed during coordinated attacks on multiple targets. Nigeria's military said more than 100 Boko Haram militants carried out the attack. 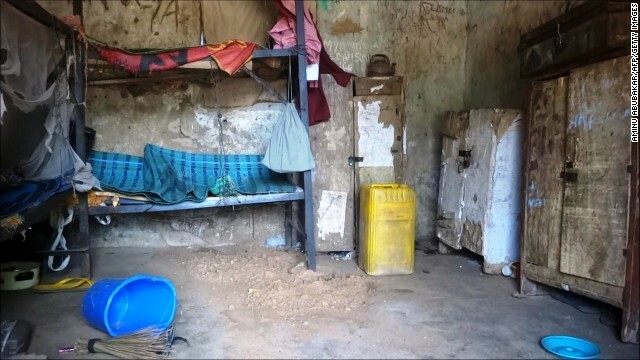 A deserted student hostel is shown on August 6, 2013, after gunmen stormed a school in Yobe state, killing 20 students and a teacher, state media reported. 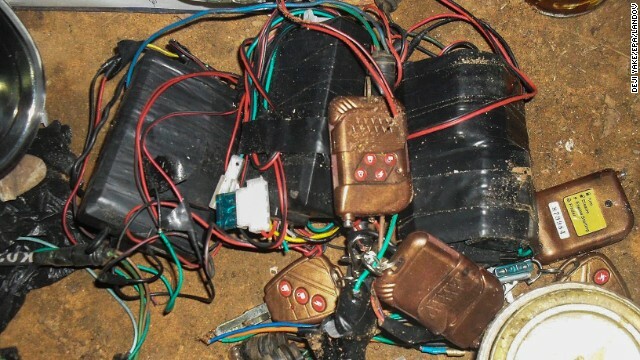 A photograph made available by the Nigerian army on August 13, 2013, shows improvised explosive devices, bomb-making materials and detonators seized from a Boko Haram hideout. 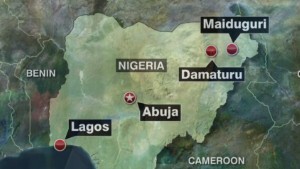 Gunmen attacked a mosque in Nigeria with automatic weapons on August 11, 2013, killing at least 44 people. Nigerian students from Jos Polytechnic walk on campus in Jos, Nigeria, on September 30, 2013. Under the cover of darkness, gunmen approached a college dormitory in a rural Nigerian town and opened fire on students who were sleeping. At least 40 students died, according to the News Agency of Nigeria. 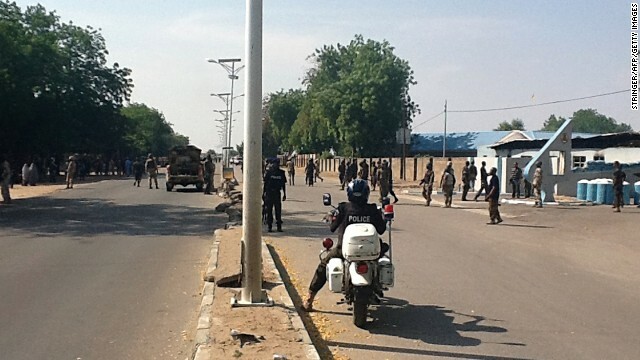 Soldiers stand outside the 79 Composite Group Air Force base that was attacked earlier in Maiduguri on December 2. Hundreds of Boko Haram militants attacked an Air Force base and a military checkpoint, according to government officials. 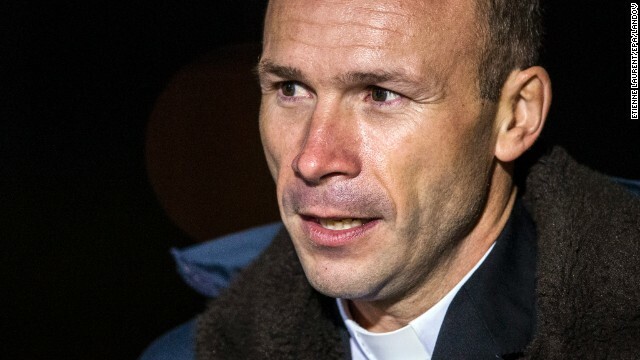 Catholic priest Georges Vandenbeusch speaks to reporters outside Paris after his release on January 1. Vandenbeusch was snatched from his parish church in Cameroon on November 13. Boko Haram claimed responsibility for kidnapping the priest. A man receives treatment at Konduga specialist hospital after a gruesome attack on January 26. 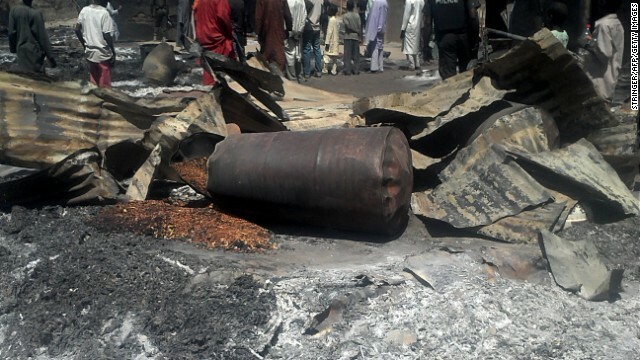 It was suspected that Boko Haram militants opened fire on a village market and torched homes in the village of Kawuri, killing at least 45 people. 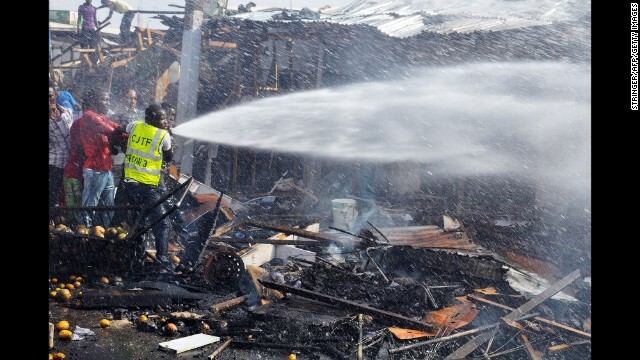 Police officers stand guard in front of the burned remains of homes and businesses in the village of Konduga on February 12. Suspected Boko Haram militants torched houses in the village, killing at least 23 people, according to the governor of Borno state on February 11. Yobe state Gov. Ibrahim Gaidam, left, looks at the bodies of students inside an ambulance outside a mosque in Damaturu. At least 29 students died in an attack on a federal college in Buni Yadi, near the capital of Yobe state, Nigeria's military said on February 26. 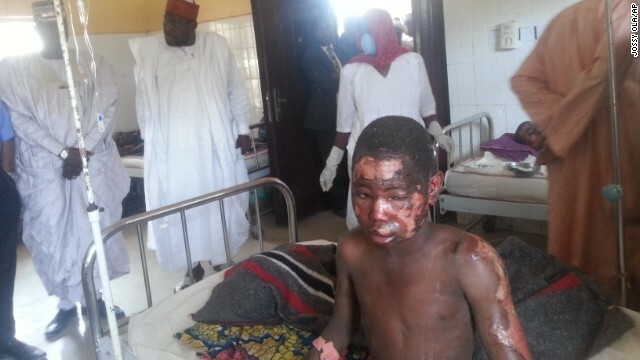 Authorities suspect Boko Haram carried out the assault in which several buildings were also torched. Rescue workers try to put out a fire after a bomb exploded at the busiest roundabout near the crowded Monday Market in Maiduguri on July 1. 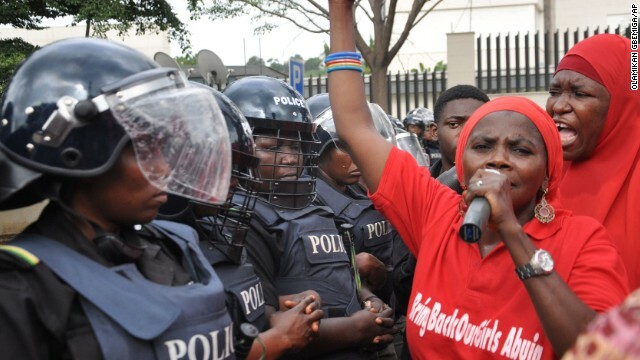 Police in riot gear block a route in Abuja on October 14, during a demonstration calling on the Nigerian government to rescue schoolgirls kidnapped by Boko Haram. In April, more than 200 girls were abducted from their boarding school in northeastern Nigeria, officials and witnesses said. 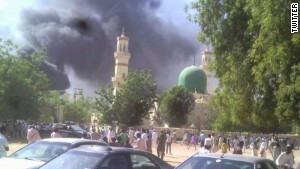 A source at the Maiduguri General Hospital said 48 injured had been taken to the hospital from the scene of the attack. Last week, another suicide attack in Maiduguri, the capital of Borno state, killed at least 78 people. Meanwhile, battle sounds roared in Damaturu in neighboring Yobe state early Monday as Islamist Boko Haram fighters poured in, an eyewitness said. "I was in bed around 4:40 a.m., when I was jolted out of sleep with huge explosions and sounds of gunfire," said resident Buka Girema. Girema fled with his family into nearby brush land. Neighbors have fled their homes as well, he said. 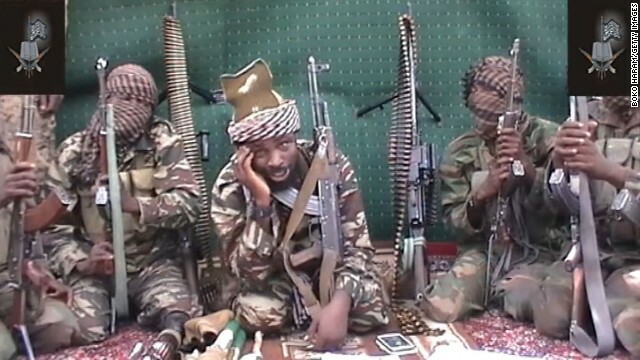 "After some phone calls, I realized Boko Haram gunmen were on the attack. They came in several trucks and vans," he said. They set fire to a police checkpoint, he said. Militants pushed toward the center of town, and the sound of gunfire spread to compounds that house government workers, residents said. A nurse working in the town spoke to CNN by telephone as gunshots rang out in the background. She said she was hiding in her home, and then concluded quietly, "They have entered my house. Please pray for me," before hanging up the phone. 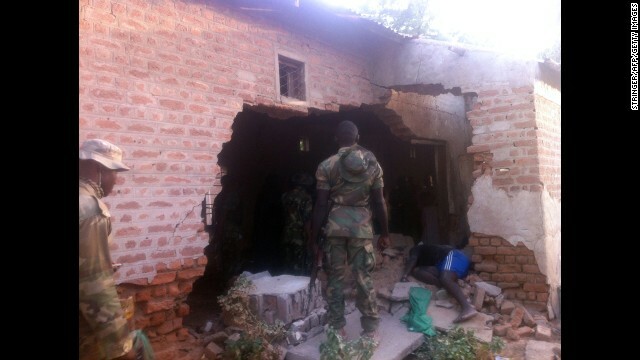 The attack on Damaturu ended in midafternoon. Yobe state spokesman Mohammed Hassan said the Boko Haram fighters were forced out of the town. "The insurgents were not able to come in full force. They were not able to operate as they wanted. The authorities pushed them out. Many civilians also helped," Hassan said. Yobe Gov. 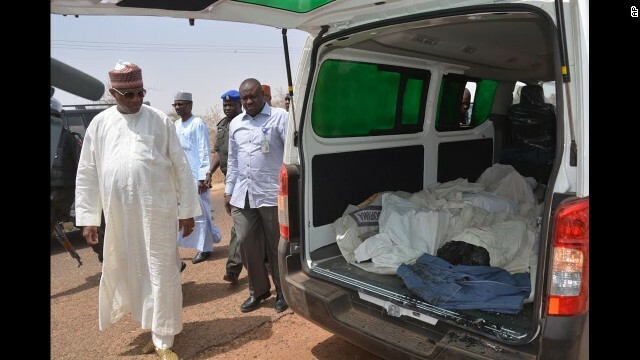 Ibrahim Gaidam condemned the attack on Damaturu as "heinous and barbaric" and praised security forces for their efforts repelling the militants. "His Excellency the governor has also been told that the security effort is still ongoing. Security agents will continue to track and pursue any remnants of the attackers who might still be hiding in town. "The governor urges people in Damaturu and all across our State to continue to remain vigilant and pray to Almighty Allah for His intervention," state spokesman Abdullahi Bego said in a statement. Boko Haram has terrorized northern Nigeria regularly since 2009, attacking police, schools, churches and civilians and bombing government buildings. 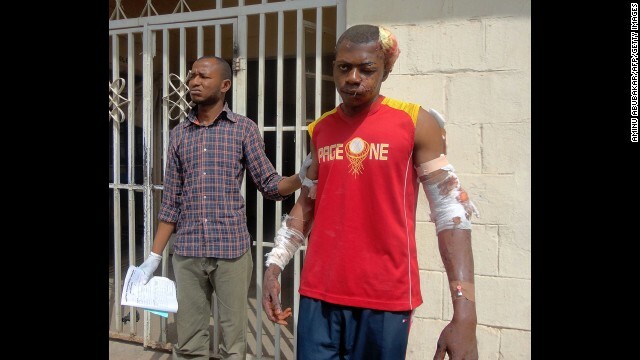 On Friday, two suicide bombers and gunmen attacked a Muslim congregation during prayers in the central mosque in northern Nigeria's largest city, Kano, officials said. A third bomb exploded outside the mosque. Officials said more than 100 people were killed in the attack. It came two weeks after the emir of Kano, Muhammad Sanusi II, one of Nigeria's most influential monarchs, called for self-defense, urging people to procure arms and fight Boko Haram‎, which has a significant presence in the area. The emir made the call at the same mosque where Friday's attack occurred. In April, Boko Haram militants drew international condemnation when they kidnapped more than 200 schoolgirls, many of whom they later said they sold into slavery. At least 5,000 people have died at Boko Haram's hands, according to a U.S. Congressional Research Service report, making it one of the world's deadliest terrorist organizations. 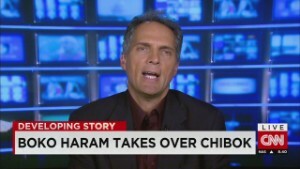 Journalists Aminu Abubakar and Hassan John reported from Nigeria; CNN's Ben Brumfield wrote and reported from Atlanta. CNN's Nima Elbagir, Lillian Leposo, Kay Guerrero, Tina Burnside and Susannah Cullinane contributed to this report. Nigeria says that more than 200 girls abducted by Boko Haram in April are to be released. Six months after more than 200 schoolgirls vanished in Nigeria, the #BringBackOurGirls campaign has faded. But this man hasn't. CNN's Jessica King looks at how a social media campaign may have influenced the government to take action. Despite government claims of a ceasefire, alleged Boko Haram gunmen attack two villages and a town. Journalist Sarah Topol spent time with some girls who managed to escape. She gives her reaction to CNN. 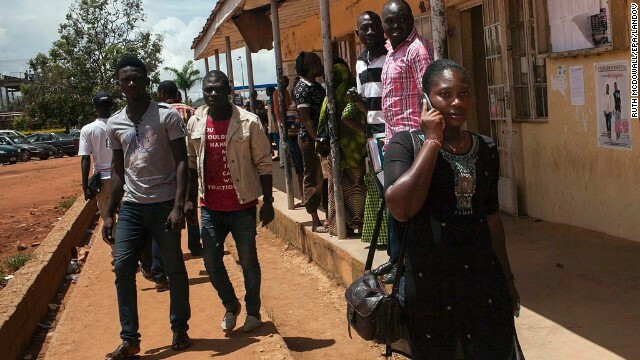 27 hostages freed from Boko Haram have arrived in the capital of Cameroon. Lynda Kinkade reports. Nigerian forces battling Boko Haram have killed a man suspected of acting as the group's leader, Nigerian officials said. In April the world was shocked to learn that Boko Haram had abducted more than 200 girls from their boarding school in Chibok. With every attack by Islamist militants in northern Nigeria, Daniel Ayuba relives a nightmare. The terrifying news began to spread before the gun-wielding Islamist militants made it into Chibok. Nina dos Santos talks to the chief spokesman of a Nigerian opposition party about the challenges his country faces.